David Josiah Brewer was an associate justice of the Supreme Court from 1890 to 1910. A defender of personal liberty and property rights, he also supported States' Rights and was opposed to centralization of power in the federal government. Brewer was born June 20, 1837, in Smyrna, Asia Minor (now Turkey). His father, Josiah Brewer, was a Yale graduate who worked in Turkey as a missionary. His mother, Emilia Field, was the sister of Supreme Court justice stephen j. field, with whom Brewer eventually served. After returning to the United States from their missionary work, the Brewers settled in Wethersfield, Connecticut. Brewer attended Wesleyan University for two years before transferring to Yale, where he graduated with honors in 1856. He studied law for a year with an uncle and then enrolled in Albany Law School. He received his law degree in 1858 and was admitted to the New York bar the same year. Brewer decided to stake his future on the frontier West. He settled in Leavenworth, Kansas, and almost immediately began his long judicial career. He was appointed commissioner of the U.S. Circuit Court for the District of Kansas in 1861 and was elected judge of the probate and criminal courts of Leavenworth County in 1862. Brewer served as a judge of the first judicial district of Kansas from 1865 to 1869. He briefly left the judiciary in 1869 to become Leavenworth's city attorney, but returned in 1870 when, at the age of thirty-three, he was elected to the Kansas Supreme Court. He sat on the Kansas bench until 1884 when President chester arthur named him to the federal circuit court for the eighth circuit. Five years later, President william h. harrison appointed him to the U.S. Supreme Court, where he remained until his death. 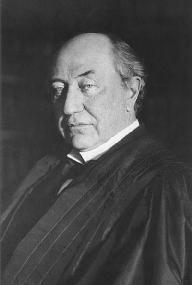 As a Supreme Court justice, Brewer was known for his ardent support of individual rights against the tyranny of the majority. "Here there is no monarch threatening Trespass upon an individual," he once said. "The danger is from the multitude—the majority with whom lies the power." Brewer had great compassion for the marginalized members of U.S. society. In 1908, he wrote the opinion for a unanimous Court in Muller v. Oregon, 208 U.S. 412, 28 S. Ct. 324, 52 L. Ed. 551, upholding a statute that established maximum work hours for women toiling in laundries. Although he had in 1905 voted to invalidate a similar statute that applied to bakers, in Lochner v. New York (198 U.S. 45, 25 S. Ct. 539, 49 L. Ed. 937 ), Brewer was convinced that the particular statute at issue in Muller did not unnecessarily limit an individual's contract liberty.Brewer also wrote strong dissents in several cases limiting the rights of Chinese and Japanese immigrants (see Fong v. United States, 149 U.S. 698, 13 S. Ct. 1016, 37 L. Ed. 905 ; United States v. Sing Tuck, 194 U.S. 161, 24 S. Ct. 621, 48 L. Ed. 917 ; United States v. Ju Toy, 198 U.S. 253, 25 S. Ct. 644, 49 L. Ed. 1040 ; the Japanese Immigrant case, 189 U.S. 86, 23 S. Ct. 611, 47 L. Ed. 721 ). His dissent in Fong, in which the Court found that the power of Congress to deport Aliens was inherent in national sovereignty, included this sarcastic indictment of what he considered Congress's Arbitrary denial of plaintiffs' rights: "In view of this enactment of the highest legislative body of the foremost Christian nation, may not the thoughtful Chinese disciple of Confucius ask, Why do they send missionaries here?" Brewer was, in most cases, a moderate conservative. He spoke out against racial Disfranchisement in Giles v. Harris, 189 U.S. 475, 23 S. Ct. 639, 47 L. Ed. 909 (1903). However, reflecting his belief in states' rights, he held that a state had the right to prohibit Integration in an institution it had created (Berea College v. Kentucky, 211 U.S. 45, 29 S. Ct. 33, 53 L. Ed. 81 ) and that the federal government lacked power to prosecute a case of racially motivated harassment (Hodges v. United States, 203 U.S. 1, 27 S. Ct. 6, 51 L. Ed. 65 ). A lifelong advocate of international peace, Brewer served as president of a congressional commission investigating a border dispute between Venezuela and British Guyana, and later served on the tribunal that ended the controversy. Brewer advocated women's suffrage and restrictions on immigration. He was a vigorous anti-imperialist who believed that the Philippines should be given independence with guaranteed neutrality. Brewer was an unusually outgoing justice who lectured frequently and wrote several books, including The Pew to the Pulpit, The Twentieth Century from Another Viewpoint, American Citizenship, and The United States: A Christian Nation. He felt strongly that judges have a moral obligation to use their lofty position to lead rather than simply observe. "It is one thing," he once said, "to fail of reaching your ideal. It is an entirely different thing to deliberately turn your back on it." "You cannot disassociate the character of the nation and that of its citizens." Brewer died in Washington, D.C., on March 28, 1910. Brodhead, Michael J. 1994. David J. Brewer: The Life of a Supreme Court Justice, 1837-1910. Carbondale: Southern Illinois Univ. Press. Hylton, Joseph Gordon. 1994. "David Josiah Brewer: A Conservative Justice Reconsidered." Journal of Supreme Court History. 45–64. Schwartz, Bernard. 1993. A History of the Supreme Court. New York: Oxford Univ. Press. Tribe, Laurence H. 1985. God Save This Honorable Court. New York: Random House.